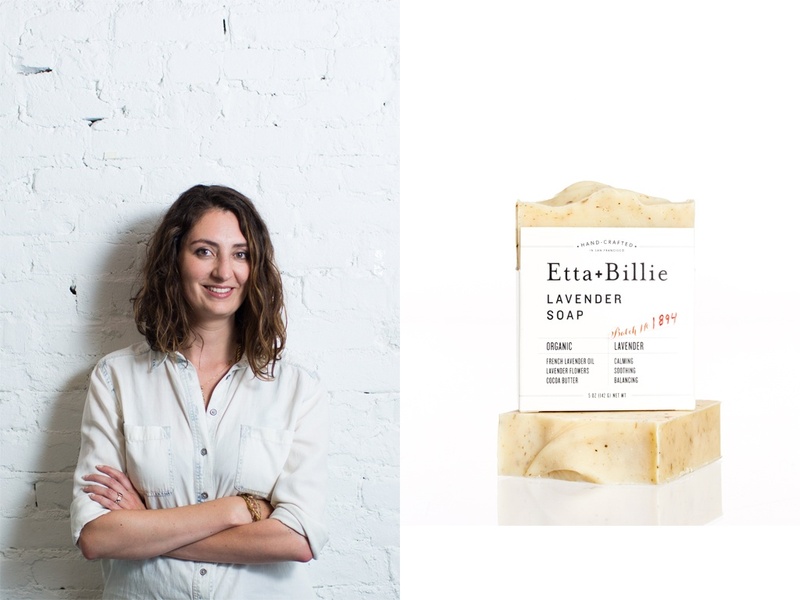 Alana Rivera, California artisan and creator of Etta + Billie always considered herself a "foodie" and body product obsessed. After realizing a career in PR wasn't the right fit for her, she set out to create a skincare line that was based off of her love of food and drink and consisted of natural ingredients. 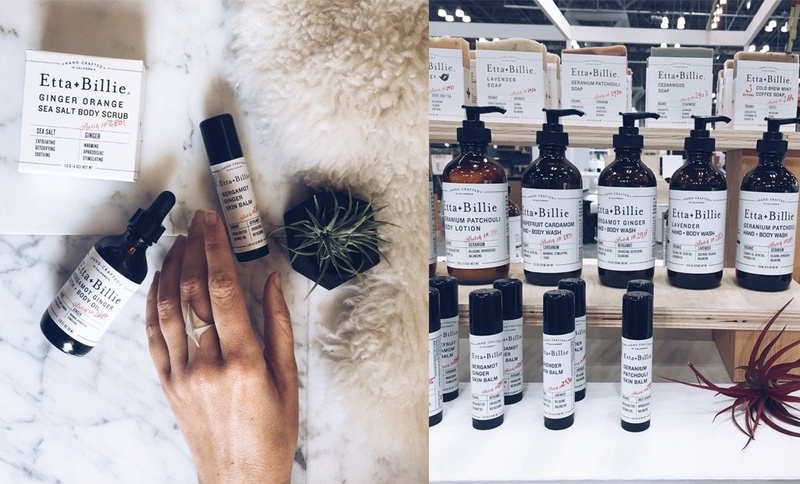 In 2011, Etta + Billie became the first body care line to be a certified green business in the San Francisco area. Originally from northern California, Alana came from a small outdoorsy area where she was an avid garden, animal, and food lover. She moved to San Francisco after college where she started a career in PR. She was already making soap in her free time, referencing "The Natural Soap Making" book that was a Christmas gift from her mother. 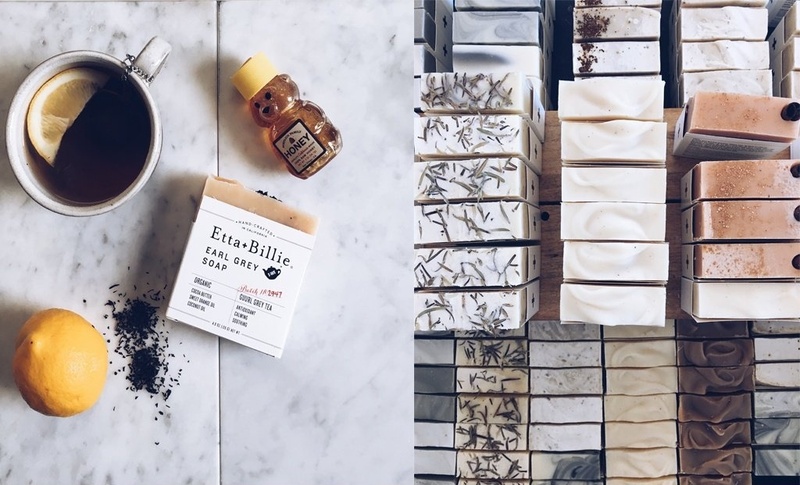 The first batch of soap she remembers making was a lavender soap, which now she considers her favorite to make due to its simple recipe and symbolism of the beginning of her journey with Etta + Billie. In 2013, Alana officially quit her job to make soap full time in her one bedroom apartment. She relied heavily on her recipe book, her certificate in herbalism (which she received in 2008), as well as taking some classes. Then in 2014, she moved into her first manufacturing space where she could really focus on creating her product. "I keep a notebook of my ideas. A lot of my inspiration is food related," Alana said. "I'll sketch out the look of the soap and write down all the ingredients before getting started." Once Alana has a recipe, she starts by creating an oil mixture and a lye mixture. Once these are both in a liquid state, she combines them until they reach just the right consistency. The soap is then ready for the ingredients which include a wide variety of essential oils, dried herbs, and sometimes fruits depending on the recipe. Once all the ingredients are incorporated thoroughly, she then pours the mixture into a mold. When the soap is poured Alana will then add any texture elements or additional botanicals, such as poppy seeds or coffee to the soap before wrapping it in a blanket to maintain heat. When in the covered mold, the soap goes from a batter like state to a softer bar that can be easily cut. This process can take anywhere from 24-48 hours. Once the batch has been cut into individual bars, they cure for about 4-6 weeks. The batch then receives a batch number and is boxed up by hand and is then ready for purchase. While Etta + Billie's lip balms and body oils have a simpler creation process than the soap they smell just as lovely. Alana works to source all high quality natural ingredients from all over the world to create her products. "The most important thing I want people to know about Etta + Billie is that it's very fulfilling and challenging work," Alana said. "These products are made with the hope that it's going to make someone's day. I want my products to bring someone to a good head place, wherever that may be." When they're not making batches of soap, Alana and her team participate in local givebacks. They donate both time and money to a food bank in the San Francisco area, as well as a youth literacy program called 826 Valencia.